St George's Road is a one-way road in Southwark, London running between Westminster Bridge Road to the northwest and Elephant and Castle to the southeast. 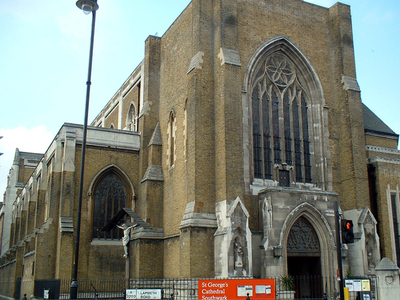 Its name derives from its crossing of St George's Fields, being an open rural area of the parish of St George The Martyr, Southwark. The road was laid out as part of the communications improvements for Westminster Bridge, from the 1740s, connecting the Bridge to the Elephant and Castle junctions with New Kent Road, Walworth Road and Kennington Park Road. 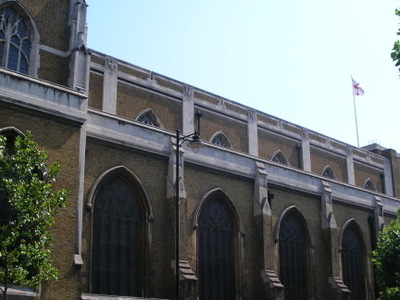 The north end of St George's Road splits into two, with the left side merging into Westminster Bridge Road northbound, and the right side going around St George's Cathedral and joining Westminster Bridge Road southbound. 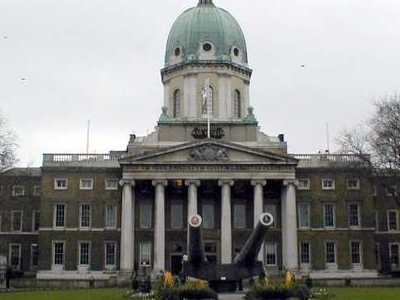 St George's Cathedral is on the north side and the Imperial War Museum is on the south side opposite, at the junction with Lambeth Road (A3203). The London College of Communication is at the Elephant and Castle end of the road. West Square, a typical historic and unspoilt London square, is to the south of St George's Road. The engineer Joseph Clement died at 31 St George's Road on 28 February 1844. Here's the our members favorite photos of "Famous Streets near London Borough of Southwark". Upload your photo of St George's Road!